Publisher's Note: Please note Image(s) on this post are unrelated to the Ad links throughout. Some third party native Ads may display related images. The opinion(s) provided on this page are NOT sponsored in any way by the manufactures or suppliers of the below mentioned products and are therefore solemnly based on the experience of the publishers of this post. We courteously provide these opinions as means of benefiting our readers. Have you ever felt like while carrying your favorite camera over your shoulder on those long trip excursions, caused your trap area around your neck to become somewhat fatigued? 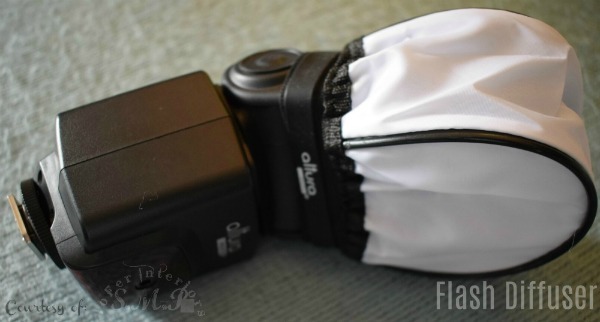 Well you may just find that this necessary and useful SLR and or DSLR camera wrist wrap also known as a hand grip, can reduce the burden from your shoulders by simply harnessing securely to your camera. The best part about this method, is that you can loosen the grip from your camera without the risk of dropping it. We picked this item from a well known online retailer for a little over $7. 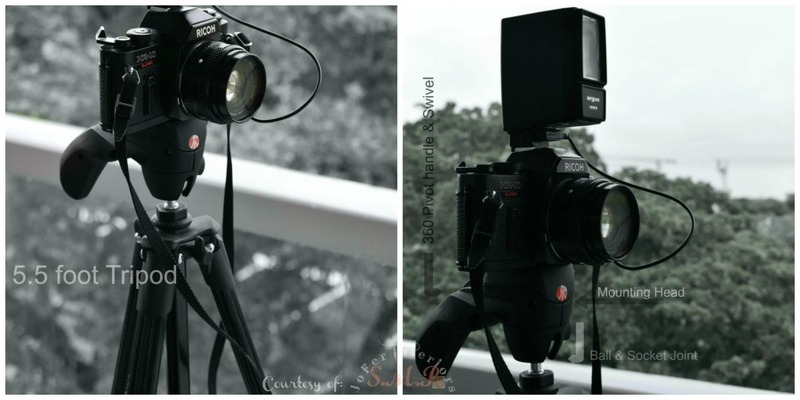 In the above photos we have a mini flash diffuser (left) and a collapsible flash diffuser made by altura. The former is normally used while traveling for outdoor photos while the latter is mainly used for taking photos indoor. These make a huge difference when taking pictures of products you may want to display for sale if you own an online marketplace. We also tends to use these quite often to take photographs of people during family events. These are almost paper light in weight, therefore easy to carry around. The purpose of diffusers are mainly to render photos with less shadows and therefore rendering more detail of the object being photographed. We will post some before and after pictures in the near future. These were also very inexpensive at about $10 for the pair. This is the Mini diffuser attached to the camera flash. The end of the diffuser is elastic therefore rendering a snuggled fit. As a bonus, altura also gives you an elastic band that you can use as an extra measure of fastening the product to the flash. Above you can see the camera flash attachment by altura. You may have already noticed that we have kept consistent with our choices in accessories. 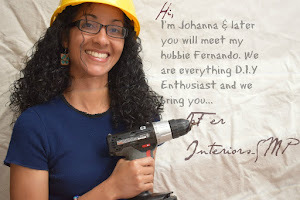 The reason for this, is that even though many products from diverse manufactures are compatible with one another, sticking with the same brand guarantees the best fit and the best results. With the altura flash you get a variety of settings that are sure to satisfy your desired standard when it comes to photography. 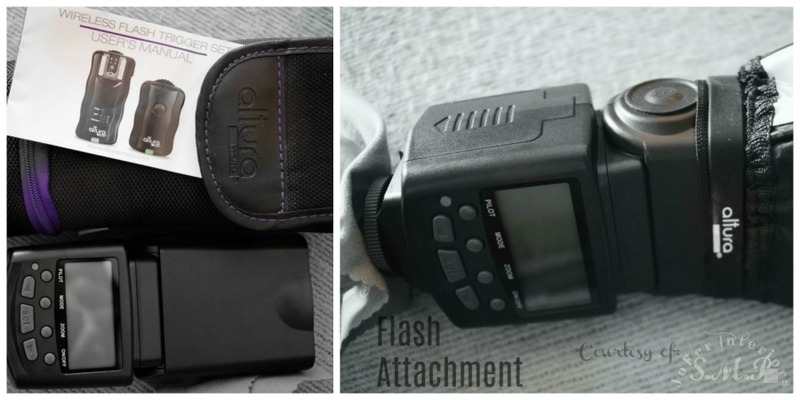 The altura flash also comes with great accessories such as a flash trigger remote and transmitter/receiver kit (top left). 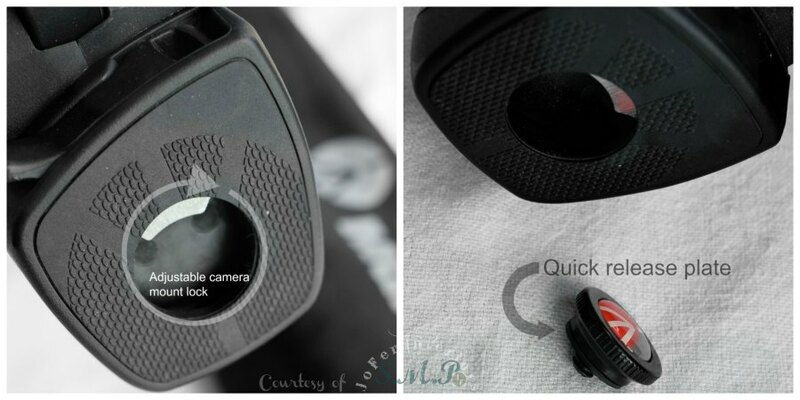 The eyecup as seen in the other three images is unfortunately not part of the package. Again. these are rather inexpensive and are sold as single pieces. 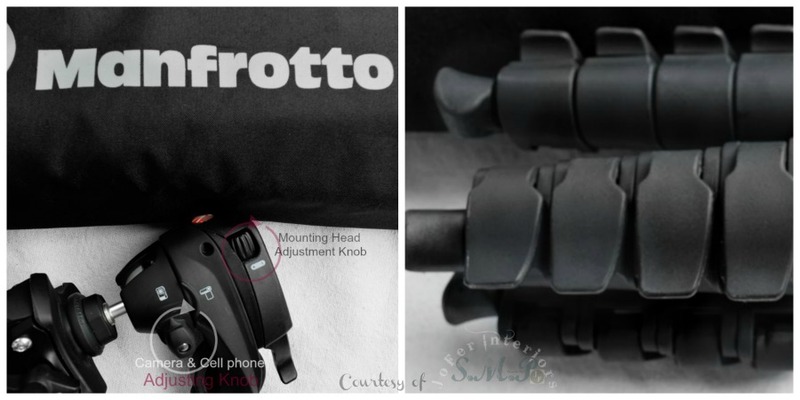 The eyecup is one size fits all and made of hard plastic and therefore not malleable. As you can see it has a curved end that allows it to snuggles nicely around the eye. One feature that I found to be remarkable, was that it swivels in a 360 degree fashion. This option is important considering that if you are out and about taking photos your eye tends to suffer some fatigue and having the option to switch eyes on the fly is a definite plus. 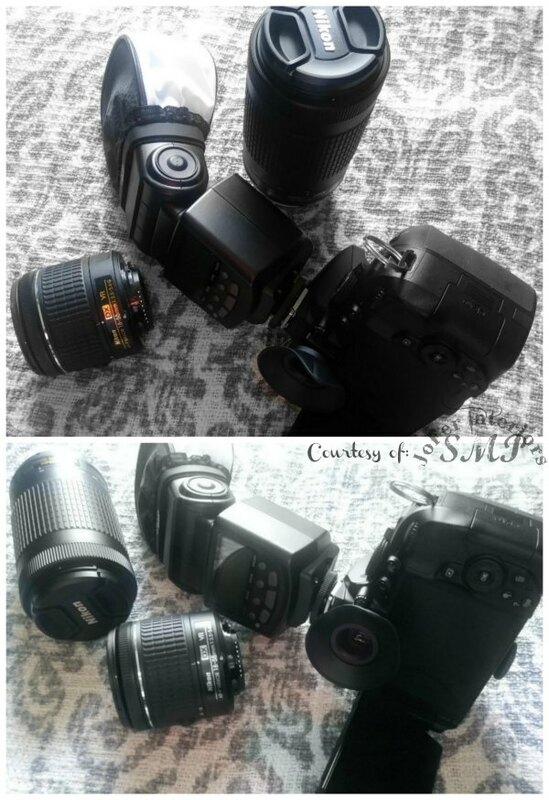 In the above images we have attached a few of the accessories onto this Nikon D5300- DSLR camera. This camera was sold in a package deal with a 70-300 mm VR auto focus lens and a 18-55 mm VR lens. Please note VR does NOT stand for Virtual Reality. It is simply a reference to Vibration Reduction. This feature is extremely helpful when shooting video as it aids in the reduction of video jitter. You can also purchase this particular camera as the body itself: no lens and or accessories for a lesser price. We learned that the purchase of the lenses separately would have resulted in a higher overall cost. Note: When making a substantial investment purchase such as this one, don't just jump to what seems to be the cheapest deal. 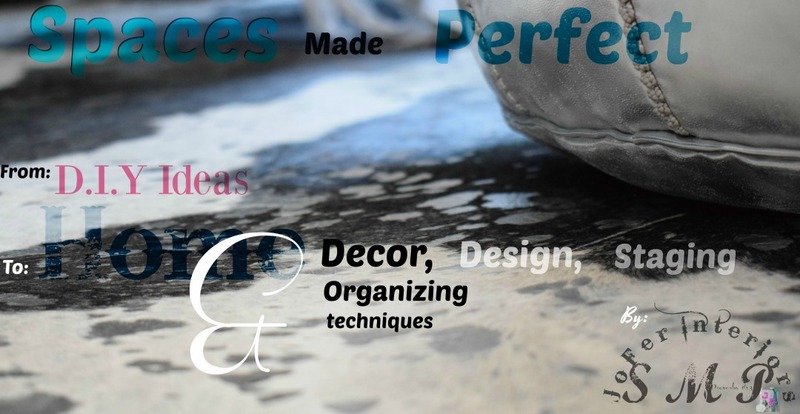 One must always take into consideration value, purpose for which the product will be used such as: (web design, product sales, portrait photography, sporting events etc..). When it comes to tripods there are important features that you may want to consider. 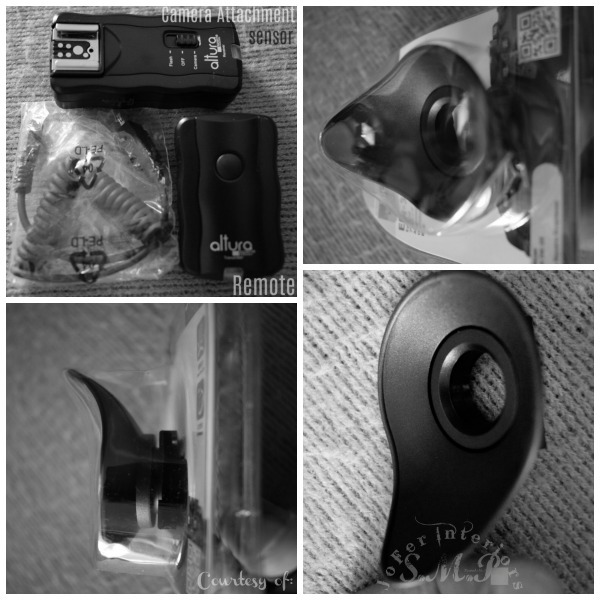 Among these are a camera, video cam and cell phone adjustment features that will make it easier to manipulate the necessary motions required for your project being filmed and or photographed. Some other key features as pictured below include the adjustable camera mount lock that can be easily tightened or loosened to fit the quick release plate. The quick release is commonly attached to the base of the camera prior to mounting onto the tripod stand. The tripod is one of those accessories that the novice and aspired photographer tends to put on their back-burner list. 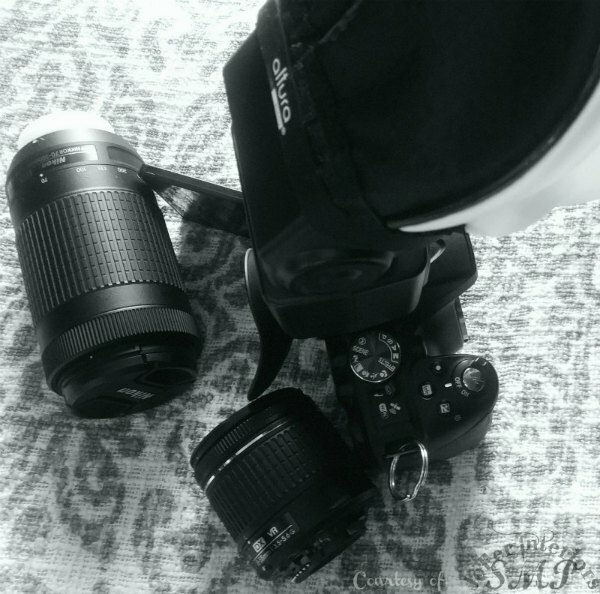 This piece of equipment is not only helpful in many ways, but we consider it to be an intricate part in the life of a photographer and or business that services an online web-market place. If your hobby or business depends on taking still photography, then DO NOT leave this important accessory out in the cold. Many times you will find that a product may be sold with a vast amount of add on accessories which may seem as a steal at the time. Always pay close attention to the actual features of the main piece of equipment, in this case the camera body. NEVER sacrifice or compromise on the best possible options in the features and functionality of the camera itself, by replacing it with accessories that may be obsolete to your current needs. Below we have added a short video snippet of this accessory.